FDA requesting comments on a proposed petition to allow aspartame and other artificial sweeteners without mandatory labeling in milk. 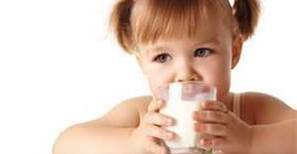 The Food and Drug Administration has received a petition from the International Dairy Foods Association and the National Milk Producers Federation to amend the standard of identity of milk and 17 other dairy products, including acidified milk, cultured milk, sweetened condensed milk, nonfat dry milk, nonfat dry milk fortified with vitamins A and D, evaporated milk, dry cream, heavy cream, light cream, light whipping cream, sour cream, acidified sour cream, eggnog, half-and-half, yogurt, lowfat yogurt, and nonfat yogurt. The idea behind the petition is to allow the use of any “safe and suitable sweetener” as an optional ingredient, including aspartame, without it being reflected on the label as an active ingredient, in order to provide a low-calorie product to children, in particular in a school environment. Aspartame has a considerable history in the US and a substantial amount of side effects were reported to the FDA when it was introduced to the consumer market. The FDA took no action. The amendment would allow consumers to be deceived as to the actual ingredients and nature of milk and on the label, with no mention of aspartame, sucralose or any other artificial sweetener, and would prevent consumers from exercising a personal choice. Instructions: All submissions received must include the Agency name and docket number for this rulemaking. All comments received may be posted without change to http://www.regulations.gov, including any personal information provided. For additional information on submitting comments, see the “Comments” heading of the SUPPLEMENTARY INFORMATION section of this document. Docket: For access to the docket to read background documents or comments received, go to http://www.regulations.gov and insert the docket number, found in brackets in the heading of this document, into the “Search” box and follow the prompts and/or go to the Division of Dockets Management, 5630 Fishers Lane, Rm. 1061, Rockville, MD 20852. ← Pets and animals increase positive social behavior in Children with Autism.